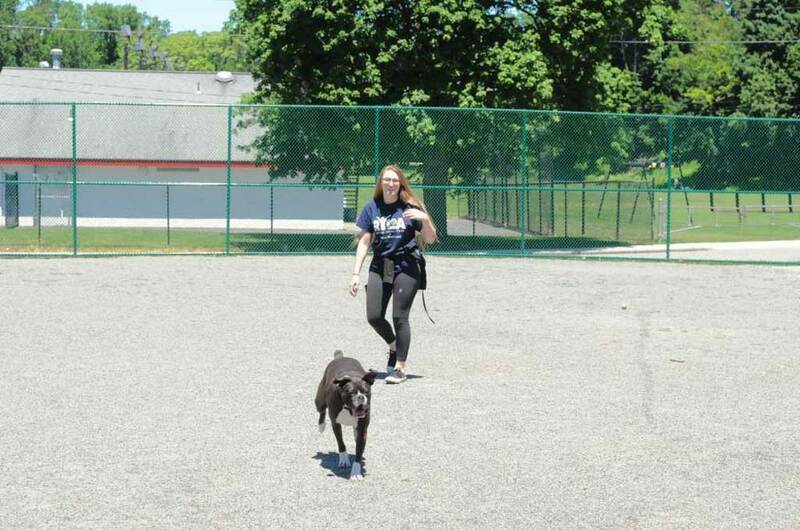 Dogs are not allowed at a new dog park in Pompton Lakes, New Jersey, because of old laws still on the books. Members of the community had requested a local public place for their dogs to play for years. In response, borough officials approved the creation of the new dog park within Hershfield Park. The dog park was officially opened to the public last month, but borough code currently prohibits dogs from going inside. The absurd situation was the subject of much discussion at the Borough Council meeting on June 8. Councilman Lloyd Kent said he was recently walking his dog close to the entrance of Hershfield Park when he was intercepted by a police officer who warned him that he couldn’t bring his dog inside. Borough Attorney Joseph Ragno pointed out state law dictates that in residential areas, owners must clean up after their dogs and keep dogs on a leash and under their control at all times. The mayor and council agreed that the local ordinances against dogs in parks didn’t magically come into existence. They were developed to address issues that were of concern at the time the ordinances were made, but circumstances and people change - so those ordinances are designed to morph and change to adjust with the times. Mayor Mike Serra said, "Yeah, I’m sure there’s some silly ordinance still on our books that says you can’t leave horses tied to a railing in front of certain buildings." Fire Chief Al Bruno said, "I think at one time, having dogs near playing kids was considered bad news, but that’s changing." Councilman Erik DeLine said, "Now, I think people are much more aware and responsible, and pick up after their dogs." Serra wrapped up the discussion by saying, "If it’s all that simple, I think all we need to do is work with the Ordinance Committee and change the ordinance. "Then, when we get prices and such. We replace the old signs prohibiting dogs from Hershfield, and install ones that say something to the effect of, ‘Leashed dogs welcome.’ It should specify the allowable length of the leash. And maybe we also install those stands with the little bags for owners to us to pick up after their four-legged friends. We may also consider adding signs at Hershfield Park entrances directing residents with dogs to the park. With all the information in hand, we can make it official at the next council meeting." Serra added that the signs saying dogs are prohibited from the park have been removed, and the borough plans to update the municipal code and replace the signs. The new signs will say dogs without a leash are prohibited from the park, he said.